Wishing him on his birthday, Naidu posted a poem by Vajpayee which urged people to remain united and not to give up hope in tough times. 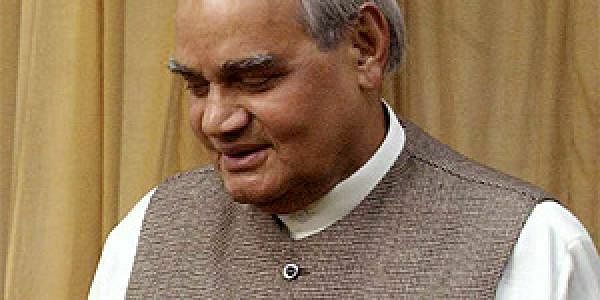 NEW DELHI: Former prime minister Atal Bihari Vajpayee turned 93 today. "His phenomenal as well as visionary leadership made India more developed and further raised our prestige at the world stage. I pray for his good health," Modi tweeted. A parliamentarian for over four decades, Vajpayee has been elected to the Lok Sabha (the lower house of Parliament of India) ten times, and twice to the Rajya Sabha (upper house). Defence Minister Nirmala Sitharaman wished the former Prime Minister as well. She tweeted: "Birthday greetings to Shri Atal Bihari Vajpayee, a very inspiring and a much-admired leader. My prayers for his better & improved health". Birthday greetings to Shri Atal Bihari Vajpayee, a very inspiring and a much admired leader. My prayers for his better & improved health. Vajpayee was elected to Lok Sabha from Lucknow in 1991, 1996, 1998, 1999 and 2004. He is the first and the only non- Congress leader who completed his full term as prime minister. Born in 1924, he entered politics during the Quit India movement in 1942. He was also the first external affairs minister to deliver a speech in the UN Assembly in Hindi. On 27 March 2015 the President of India conferred Bharat Ratna, India's highest civilian honour to Vajpayee. In a special gesture, the Narendra Modi-led government in 2014 announced that Vajpayee's birthday would be celebrated as Good Governance Day annually.